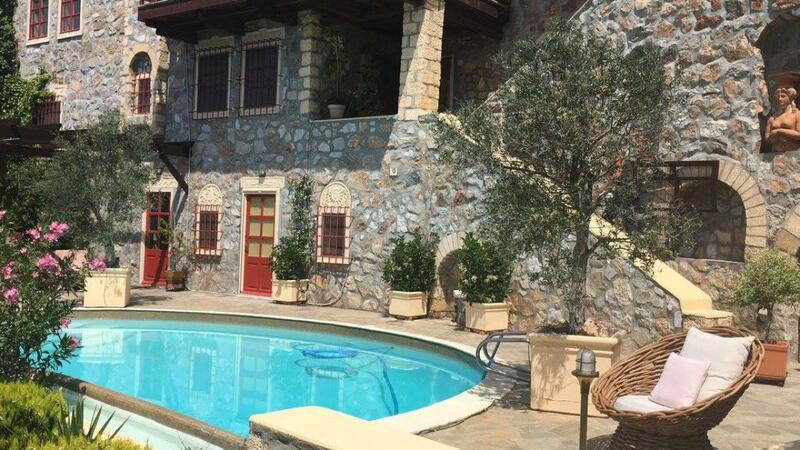 Luxury stone made villa with excellent view in the city of Marathon only 20 km from Athens international airport .There is a main house , a guesthouse , a poolside apartment ,a pool ,big terraces, a bar, BBQ , sauna, outside shower .There are 4 bedrooms, 4 bathrooms with shower , 3 kitchens. Heating with electric convector heaters, cooling with air conditioners. The pool measures 45 sq.m .The mature garden has got trees, bushes , plants and flowers.The terraces offer unconstructable views to the sea.